Lying awake at night, Tom hears the old grandfather clock downstairs strike . . . eleven . . . twelve . . . thirteen . . . Thirteen! How strange! When Tom gets up to investigate, he discovers a magical garden. A garden that everyone told him doesn't exist. A garden that only he can enter . . .
One of the most popular children's books ever published - a true classic. 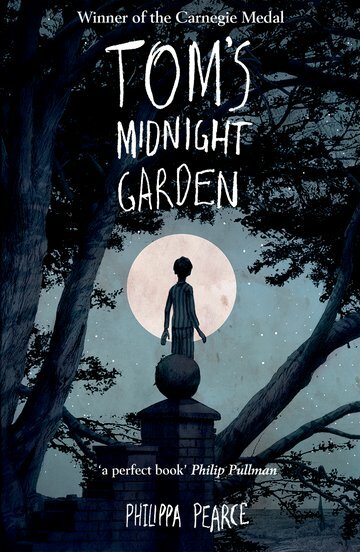 Tom's Midnight Garden was recently voted one of the top ten favourite Carnegie Medal-winning books. This book has been continuously in print since its first publication in 1958 and is as relevant today as it was then. This best-selling book has been the subject of a film and has also been dramatized for television by the BBC on three separate occasions. Gorgeous new cover for this new contemporary edition. Philippa Pearce was awarded the OBE for services to children's literature.